Highlights from the Sky Bet League One clash between Sheffield United and Bradford City. 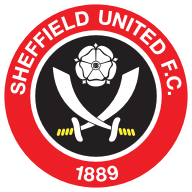 Goals from Billy Sharp and David Edgar and an own goal from Stephen Darby earned Sheffield United a comfortable 3-1 victory at home to Yorkshire rivals Bradford. Sharp opened the scoring in the 11th minute, neatly turning his marker on the edge of the area before striking low into the bottom corner. 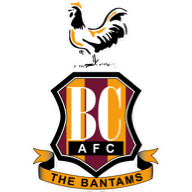 Bradford looked for a way back into the game and, just before half-time, a well-placed George Evans free-kick was tipped wide by the sprawling George Long. The unfortunate Darby could do little else other than poke the ball into his own net after a mazy run and fizzing cross by Paul Coutts after 56 minutes. Edgar added a third for United in the 63rd minute, heading in a Martyn Woolford cross from close range. After Long kept them at bay, Bradford's persistence finally paid off with Gary Liddle heading in a near-post corner with seven minutes remaining. However, it proved to be a mere consolation and United stretched their unbeaten run to five games.